Delicious home cooking! 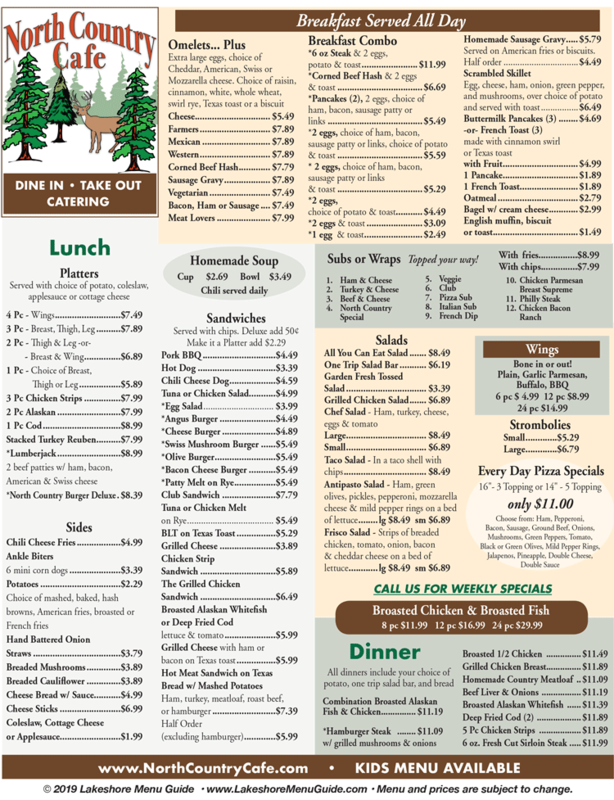 Extensive lunch and dinner menu includes sandwiches, subs, pizza, strombolis, salads, steaks, broasted fish and chicken. Breakfast served all day, featuring omelets, pancakes, french toast, oatmeal, variety of sides. Homemade soups, yummy desserts, kid's meals. Friday & Sunday dinner buffets all year. Ask about our catering menus!